Western Whips and Wheels is a not for profit driving club sanctioned by The American Driving Society. It was formed to create a network of carriage drivers in our region, to act as a resource for one another and to support driving events in the Pacific Northwest. Through dues and fund raising efforts, WWW provides financial support for regional competitions (Combined Driving Events and Arena Driving Trials), play day drives, a facebook page and educational opportunities. Additionally, members provide volunteer labor that makes things happen. We welcome members of all experience and abilities. Organizing the Arena Driving Trial Series is one of WWW’s primary jobs. An Arena Driving Trial is a casual competition held in one day and includes a dressage test, a cones course and an obstacle course. Drivers do not have to dress in traditional attire at these events and horses and carriages do not have to be spit polish clean. Trials are held during the winter months, February through April, when most of us have cabin fever and enjoy getting our equines out for some fun. It is a great way for new drivers to practice the basic skills required for a Combined Driving Event. 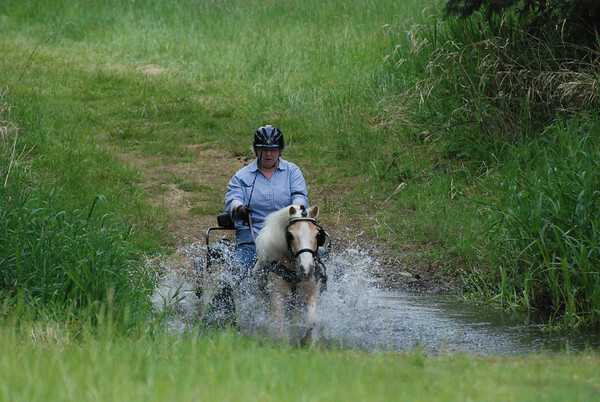 More seasoned competitors enjoy honing their skills and exposing their horses to different situations. Educational opportunities are offered to WWW members throughout the year. In the past few years, the club has held a clinic on braiding, organized a tour of the Curtis Carriage Museum, presentation by Nate Smith equine nutrition expert to discuss nutrition for performance horses, offered driving clinics with some of the country’s leading drivers, and organized numerous play day drives. The club sponsored Thomas Smith for a two day navigator clinics and Bill Twigg for a Carriage Maintenance Seminar, desensitizing clinics with John and Linda Keater and numerous veterinarians on topics ranging from lameness to conditioning. 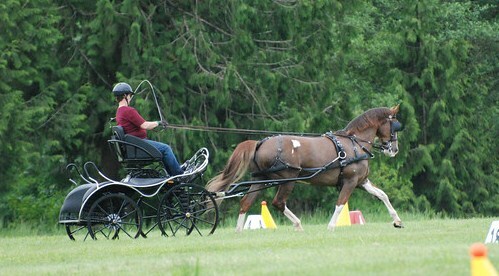 WWW provides support to the region’s Combined Driving Event Organizations. The club provided financial contributions to the Equestrian Institiute’s CDE in Ethel WA, ; The CDE at Inavale in Philomath, OR; Drive in the Park in Nampa Idaho, WA; and the National ADS Membership Meeting in 2011. Would like to join your group. Needing a “course” to practice in or near Molalla Or. Would like all information regarding your event Feb 1. Our next event is going to be on March 22nd at the Thomas Equestrian Center in Beavercreek. Call Linda Thomas at 503-632-5053 for more info. Please come check out our Horse Driving Trial in October. You will meet some club members, check out the course and see some great driving! Our board meetings are the first Tuesday of each month in Oregon. If you would like to attend, give Linda Thomas a call at 503-632-5053. I think that the first full CDE in Washington is going to be put on by the Equestrians Institute. The website is EINW.org. Our club has some great clinics and a Arena Driving Trial coming up in March. Linda can fill you in n those details as well. Thanks for your interest! Greetings ‘WWW, I am a new member and am looking forward to meeting any members in Lincoln County, I am located in Siletz. Also do you have the schedule of events for the summer? Would like to volunteer at the March 22nd event, just to rub elbows and meet and greet. I am looking for a trainer for my cob mare. Just about ready to hitch but need professional assistance. I’m in McMinnville and can travel up to 50 miles away for training and/or coaching. Megan Sibiga is in Lebanon OR, Krista Tanner is in Oregon City and Terri Jones is in Washougal WA. Terri comes down to Beavercreek, OR every month or so. I’m sure anyone of them could help you hitch. I will try and hook you up with them via facebook. thanks for the quick response. Looking forward to contacting one of these ladies. What part of the state are you in? We are having our annual meeting and holiday party in molalla on Dec 6th. If you are free it would be a great opportunity to meet people. Give our president Linda Thomas a call at 503-632-5053 for the details. I am looking for an instructor in the Seattle Tacoma area. I am just getting into driving but need to good start. Are there any instructors in the Port Orchard/Gig harbor/Tacoma area? Welcome to driving Vicki! There are a few great clubs up in your area. I would recommend that you contact Sarah Johnson at the Equestrian Institute. If you go to their site http://www.einw.org and click on driving, all her contact info is there. She will know about trainers in your area. They are having a wonderful event at the end of May, and the two clinicians, Leslie Berndyl and Scott Monroe are World Champion Drivers and if you could audit some of their lessons or take a few yourself you will be SO glad you did! I come up to Washington every year for that event and find it to be one of the highlights of the year training wise. It’s held in Ethyl WA. The Beginning Driver Clinic in Beavercreek May 23rd might be a good introduction if you can make it up here. Megan Sibiga is a wonderful trainer with a great barn in Lebanon OR, not sure how far away that is from you. Do you do facebook? If so look for our page and it is an easy way to hook up with members and saty up to date on what is happening. Our membership director is Ann Craig you can contact her at ascrai@aol.com she is the best resource for contacts ear Eugene! We have some great drivers down that way. In interested in upcoming clinics and learning opportunities. If you have an email list could you please add me?